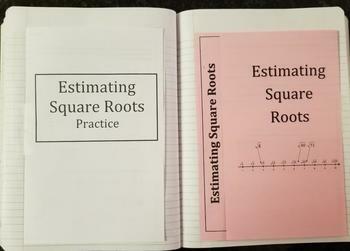 Students will learn to estimate the value of irrational square roots through a step-by-step process that shows them how to calculate their distance between two whole numbers in fraction form and then convert that to a decimal approximation. 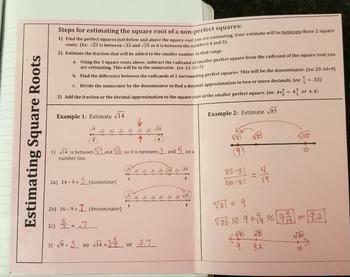 The steps are written in detail on the notes page, and two examples are provided to complete together. 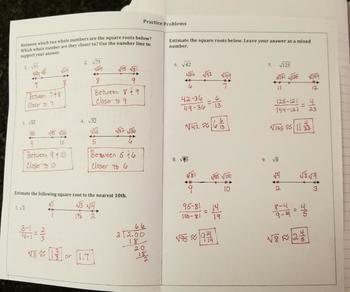 Additional problems are provided on the practice page.